Thomas Knights is a photographer, performer and music producer whose wide-ranging experience extends from working with pop star Marina and The Diamonds to shooting for Marie Clare magazine. Now, the multifaceted artist is embarking on his first solo exhibition titled "RED HOT," following on the heels of a recent collaborative project that showcased prominent figures within London's nightlife scene. 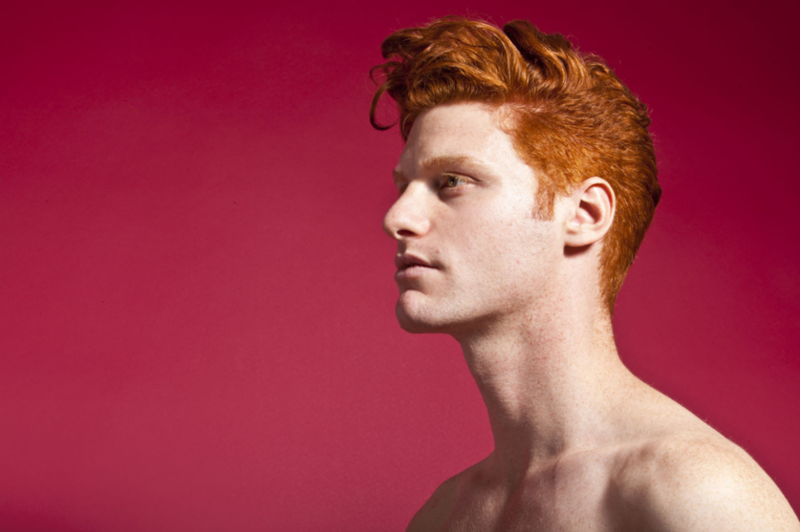 "RED HOT" features a diverse range of redheaded men and seeks to provide visibility and change perceptions surrounding the often-marginalized group of people. The Huffington Post caught up with Knights to discuss his latest venture, the statement the project intends to make about stigmatization and bullying and the way "RED HOT" will contribute to a larger conversation about identity in the 21st century. A slideshow of images from "RED HOT" is available below. The Huffington Post: How would you describe the work that you do? Where do you find your inspiration? Thomas Knights: In general my work is really narrative-based. I also think there is a strong advertising feel about it, whereby the product or clothing is the star of the image or film. My inspiration comes from many places -- but recently I've been remembering my dreams and have been quite inspired by them... They are often quite vivid and totally surreal, as all good dreams ought to be. Why did you decide to pursue "RED HOT" as a project? What do you hope to accomplish with this series? It's something I had thought about for years -- the idea of creating an alternative to the awful stereotype ginger men are subjected to. I had the name "RED HOT" -- it summed up neatly the whole project. Then a newspaper ran an article asking, "Whats the new obsession with hot ginger men?" referencing Prince Harry and Damien Lewis and I realized there was something happening and I needed to start moving with the exhibition. That was about a year and a half ago. 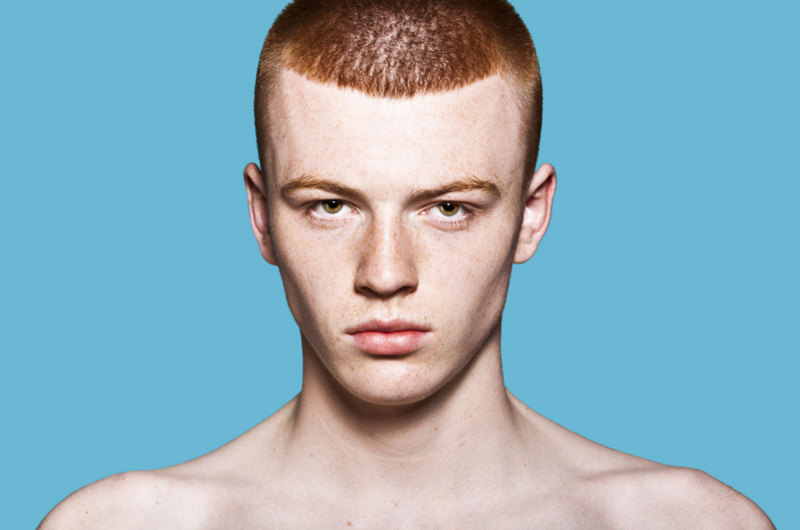 My ultimate aim is to bring about a change in the way our culture, and especially the media, depicts ginger men. A press release for the exhibition states that the project is "in line with The Anti-Bullying Alliance." What does this mean for both you as an individual and the photo series itself? Could you also describe the anti-bullying alliance and the work that they do? In the United Kingdom, children with red hair can be really bullied at school. The Anti-Bullying Alliance were very excited to be a part of the exhibition as there is very little being done to combat this particular form of bullying -- it's incredibly ingrained in our culture. There are very few positive male role models with red hair too, so the exhibition tackles these issues and starts a conversation. Is there a queer or gay component to "RED HOT" at all? Well, it's an exhibition about hot men with no clothes on, so I'm presuming it will have some gay appeal! Some of the models are gay and there has been quite a lot of gay press about it -- which is great! What do you hope "RED HOT" will contribute to a larger conversation about identity and the way we perceive our fellow human beings? I would love to show other ginger men that they can ben proud of who they are. But ultimately, I would love there to be a public mind shift to allow more positive depictions of ginger men in film and TV. "RED HOT" is slated to premiers at in London at The Gallery from Dec. 16-22. For more information visit Thomas Knights' website or Facebook page.